Baldwin is a hamlet and census designated place in the Town of Hempstead in Nassau COunty, New York. The community is served by the Baldwin Union Free School District. Indigenous peoples who lived in the area called themselves the Meroke, or Merrick, and they lived in two villages along the Millburn creek. The land became known as Hick’s Neck in 1643, after John Hicks, originally from Flushing, who settled in the area along with John Spragg from England. The community was called Millburn for a while, but was renamed Baldwinville in 1855 in honor of Thomas Baldwin, a sixth generation resident and the leading merchant of the area. In 1892, the community was officially renamed Baldwin by an act of local government, after the Postal Service changed the named from Baldwinsville to Baldwins so as not to be confused with the village of Baldwinsville in Upstate New York. 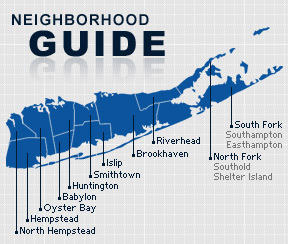 When Baldwin was officially removed from Queens County in 1899, a local realtor Charles Leuresson, coined the name “Beautiful Baldwin” for the community. The area quickly became a popular living destination, and by 1930 it had grown to become New York’s largest unincorporated village. By 1960, Levittown had stolen that title, but Baldwin remained a popular town for boating, fishing and enjoying the bay. According to the 2010 census, the population of Baldwin is 24,033. The median household income is listed as $71,456.